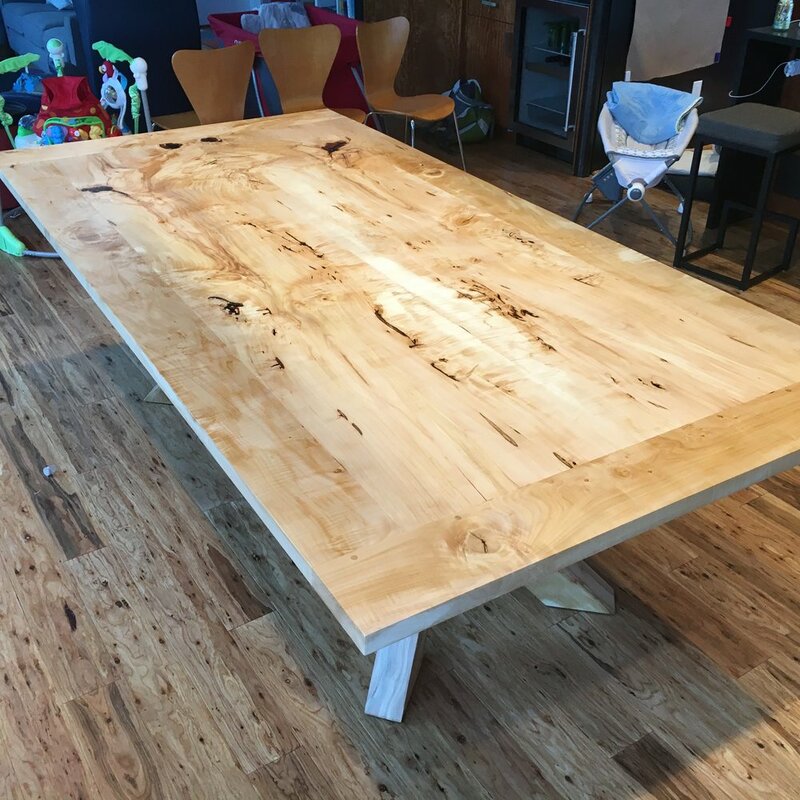 This was my biggest build to date: a giant 4’ x 8’ table top that maxed out the available space in my shop. But when it was done, what a treat! The wood was taken from a tree that grew on the banks of Thornton Creek in NE Seattle. When it came down I had it milled into slabs and waited a few years for it to properly dry. 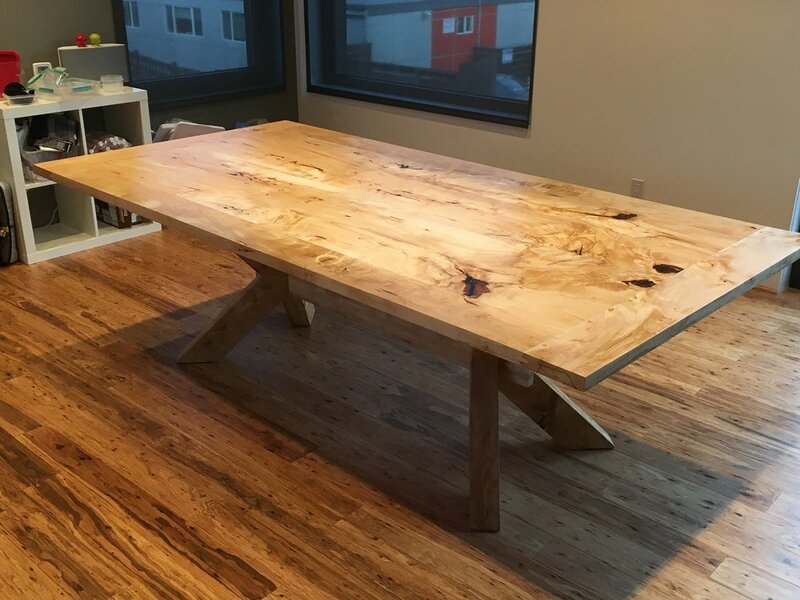 My clients had their eye on this wood for a table from the moment it came down. This was another fun and challenging design with some great joinery problems to solve. A unique double-X trestle provides a solid, but elegant base that mirrors the architectural features in my clients’ new home.